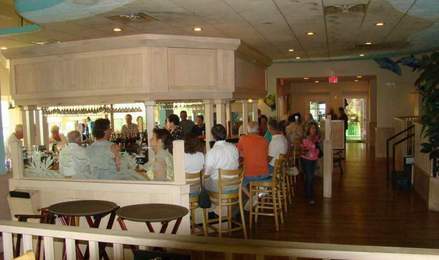 "Casual Dining on the Gulf For 29+ Years"
Reservations are highly recommended during peak months and holidays . Right here on Englewood Beach at the Gulf View Grill. Come and experience a spectacular sunset or the breath taking tranquil blue waters from our restaurant or open air deck. Our business has grown over the past 29+ years because of the friendships that we have made here in our community. How to find us? Go to the location page for a map and directions. Copyright © 2013 The Gulf View Grill . Powered by Webbersaur.us.